A special place in the region's cultural life, an international reputation, a rich history and a bold future. The Norrköping Symphony Orhcestra comprises it all. The Norrköping Symphony Orchestra, SON for short, has the reputation of being one of the most exciting orchestras in Scandinavia. Through foreign tours and an extensive recordings, SON has developed a large following and much well deserved respect on the international stage. SON was founded in 1912 and is today comprised of 85 musicians. Through its long and rich history it maintains a special place in the region’s cultural life. 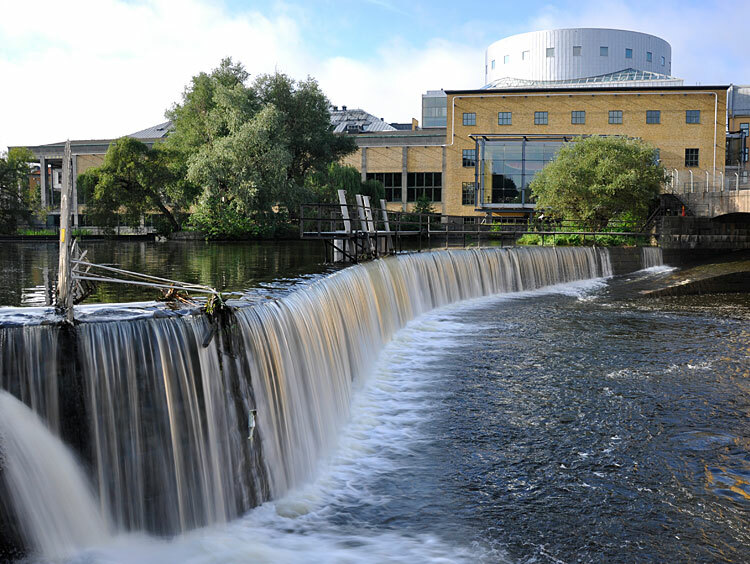 The orchestra’s two principal venues are The Louis De Geer Concert Hall in Norrköping, and the Crusell Concert Hall in Linköping. SON’s history is dominated by both tradition and new thinking. The orchestra’s main repertoire consists of the great romantic era composers from Beethoven to Mahler but it is just as important to perform 20th century music and Swedish/Nordic music. The orchestra is currently involved in a long term project to perform and record all of Allan Pettersson’s symphonies together with conductor Christian Lindberg, an effort that has achieved great international acclaim. In february 2015 the recording of the Allan Pettersson symphony no 9 won a Grammis, the oldest and most important music award in Sweden. The successive recordings in the Pettersson series have since then all been nominated for the same award. In the summer of 2018, the orchestra and Christian Lindberg is taking the project on tour to Vienna. SON has placed Norrköping on the world map with their tours of Europe, Japan, and China. SON’s history is characterised by the many young conductors that began their international careers in Norrköping. Herbert Blomstedt and Franz Welser-Möst are the most famous examples – both have been Chief Conductor for SON. The Louis de Geer Concert Hall.